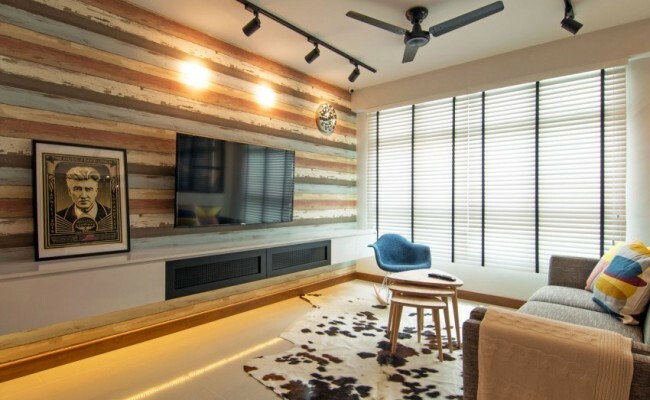 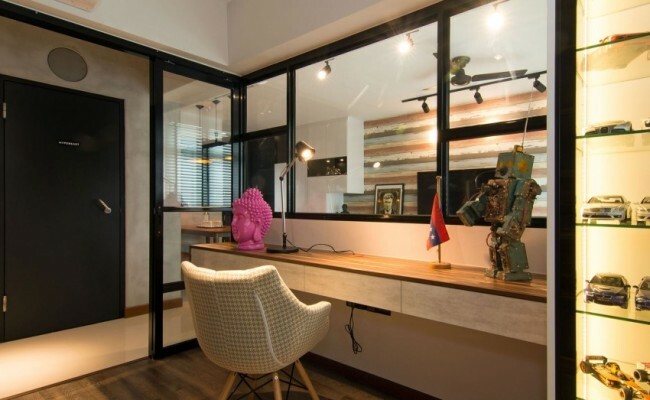 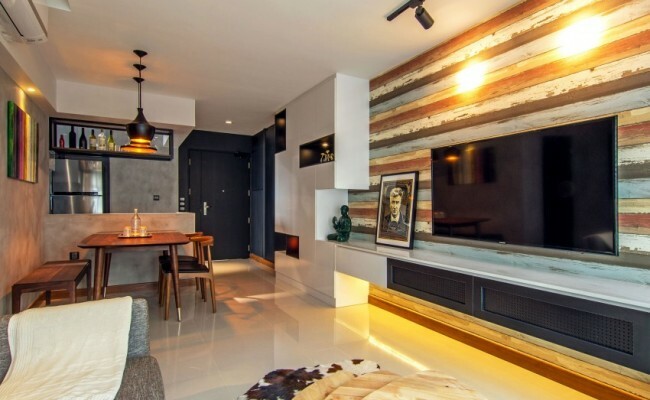 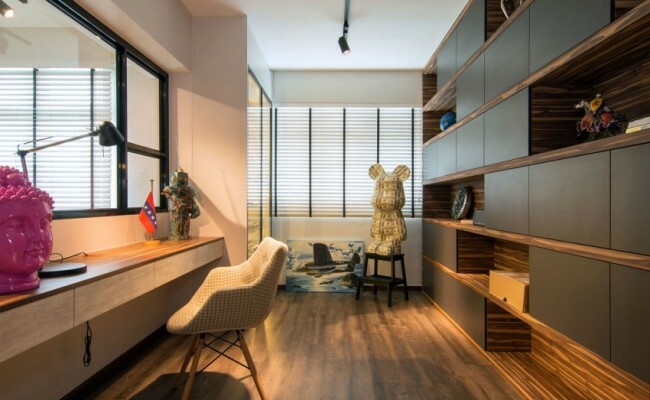 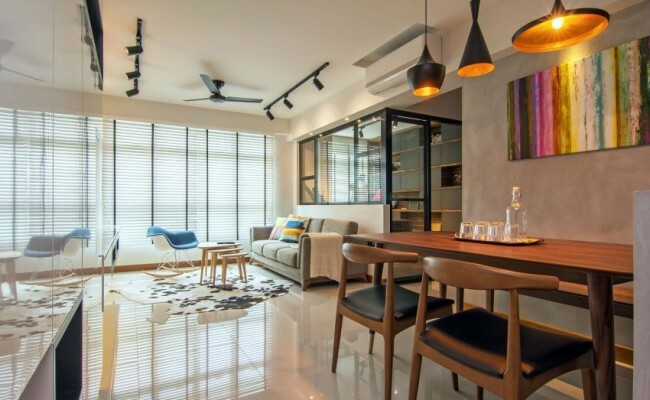 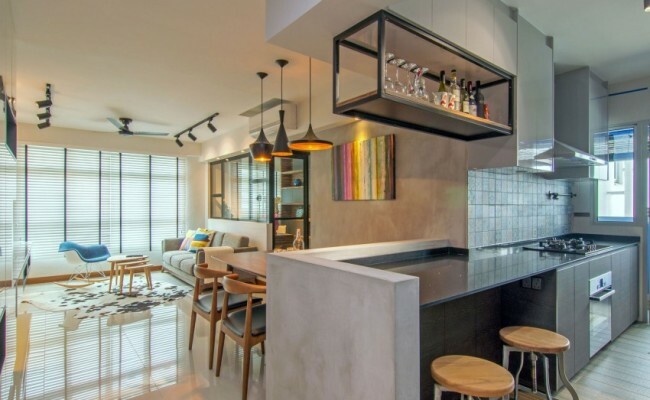 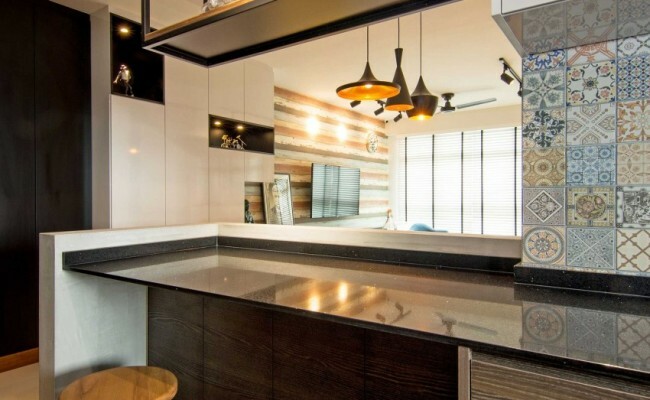 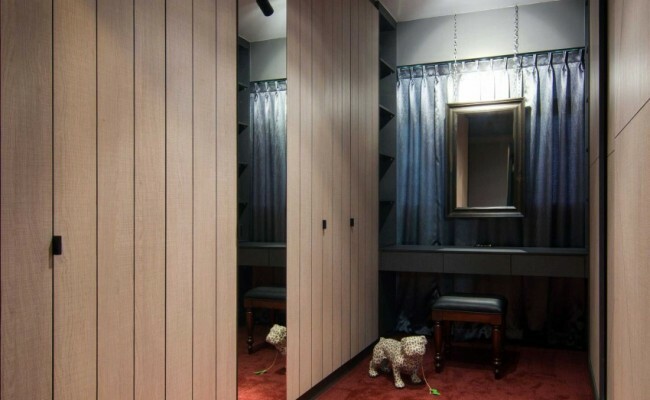 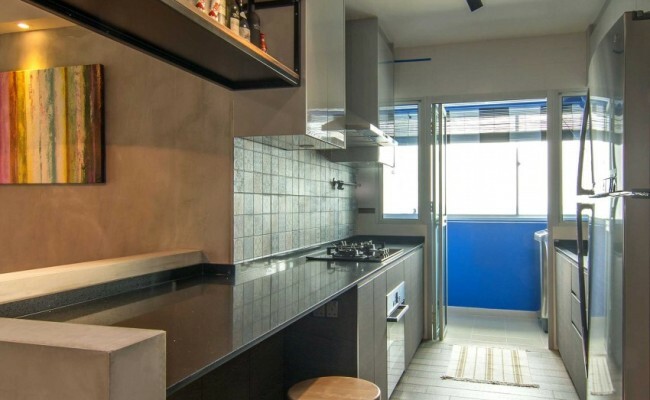 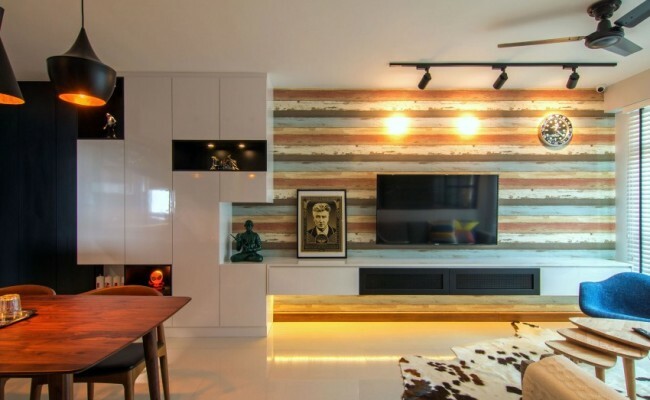 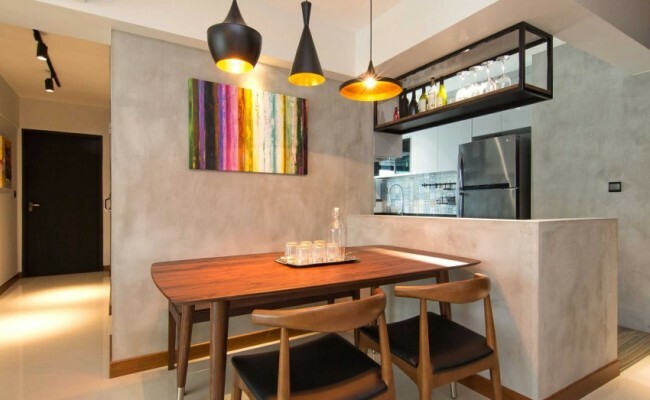 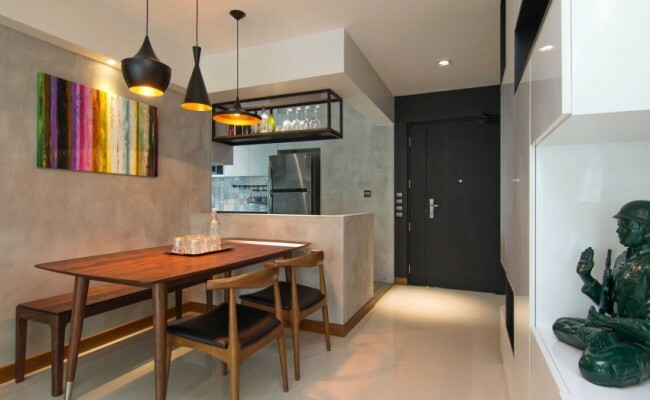 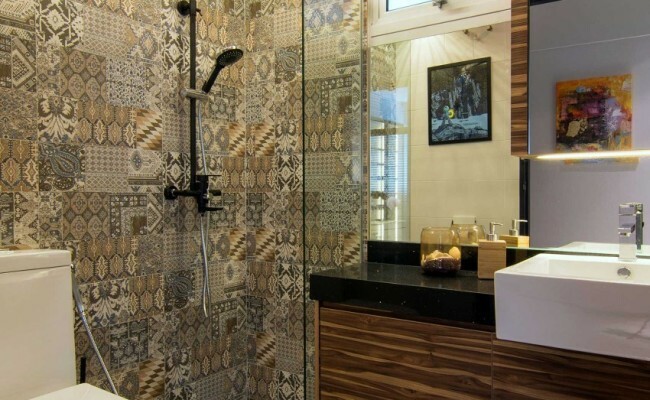 Vievva Designers completed a stylish apartment in Singapore for a young couple drawn toward raw materials and finishes. 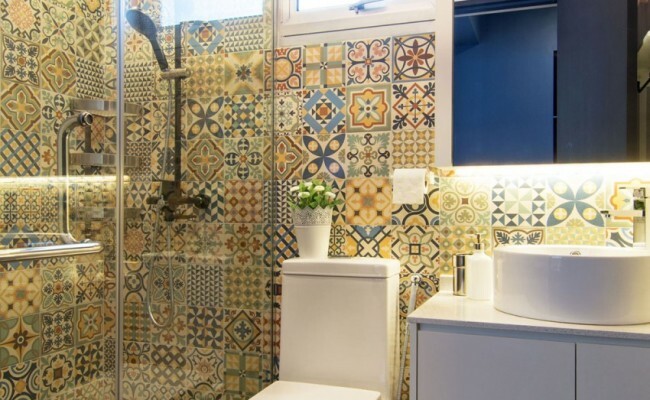 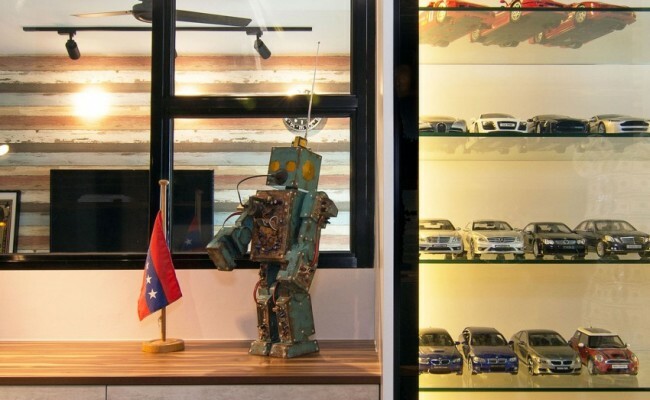 The Interior Design is enriched by colorful additions and the owners’ collection of industrial artifacts. 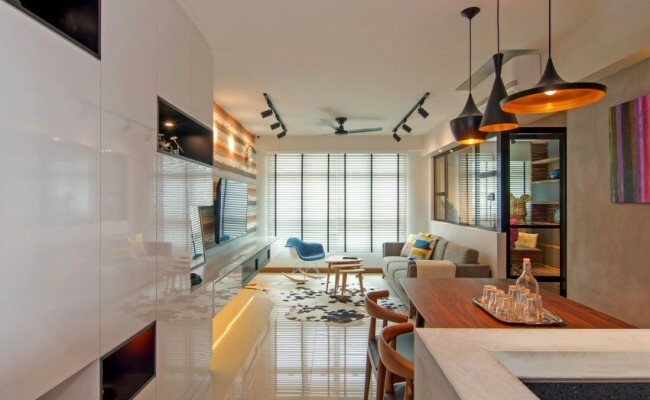 “The process started by removing parts of the walls in the kitchen and a bedroom, creating a greater sense of space thereafter,” the designers explain. 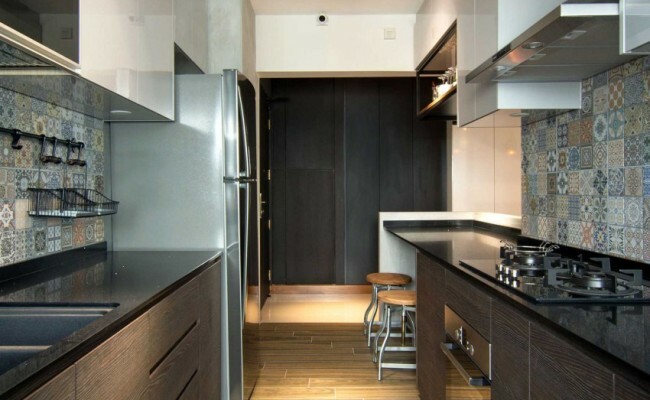 “The open kitchen now sports a casual dining nook and plenty of concealed storage.